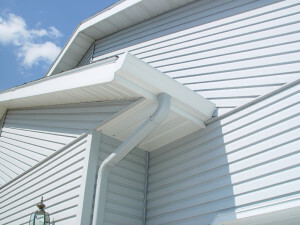 If you’re thinking of installing new seamless steel siding on your home in Los Lunas, New Mexico, or other surrounding areas, then the company to call is ABC Seamless of Albuquerque. We have fabricated and installed some of the most rugged, yet beautiful, seamless steel siding for countless homeowners in the region since 1989. All of our siding is created right on the job site using 28-gauge, hot-dipped, G-90 galvanized steel. By using the exact measurements of your home, your siding will stretch as solid ribbons of beautiful steel from corner to corner, eliminating any ugly seams, gaps, warps, and wrinkles that can decrease the aesthetic appeal of a home clad with inferior, pre-cut materials. What’s more, your investment will always be safe when you entrust ABC Seamless of Albuquerque to care for your home. We stand behind all of the work that we perform by offering a limited lifetime warranty in addition to the manufacturer warranty on all of the products that we offer. To learn more about the siding offered to homeowners located in Los Lunas, NM, and the surrounding areas, give the experts at ABC Seamless of Albuquerque a call today. Feel free to stop by our beautiful showroom open Monday through Friday.